Bandfix® Safeedge band is the solution to safety when installing metal banding on industrial sites, out products are used on and off shore around the world. All industrial sites have potential safety hazards and handling metal banding could be one of them but not with Bandfix SafeEdge. Remove the risk of an operative picking up an off cut with no gloves and recording a site injury when all this can be prevented. As well as processing stainless steel banding these products are often handled several times moving from location to location, racking to vehicle etc. 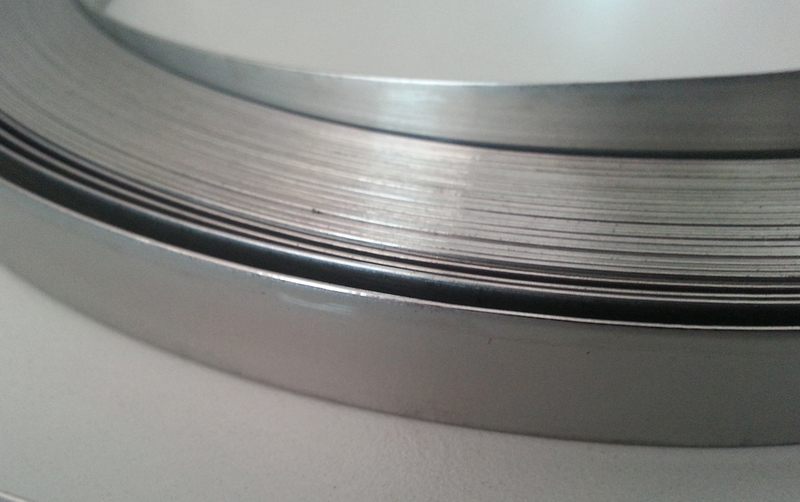 Standard stainless steel banding due to the way its processed has a burr that is similar to a razor blade, handling even a small strip without gloves could lead to serious lacerations. One other advantage is for loading automated processing machines our edge enables the machines to FEED and process without jamming or snagging a big time saving and also safety aspect. Our Safe edge product can be used for many applications including bundling of cables and hoses, insulation or for strapping, it is good for clamping and gives you the flexibility of being able to cut on site to your exact length elevating waste. For flexibility and economy we can supply in larger heavy duty industrial size rolls to get the best yield for piping, tanks and vessels.­ Alter­natively we can supply smaller coils that are easier to handle ideal for offshore applications, working on scaffold, gantry's and ladders thus reducing risks. These coils are supplied in grade 304 stainless steel which is non magnetic and offers good corrosion resistance, are as an alternative 316 for more corrosive environments commonly used in offshore applications. 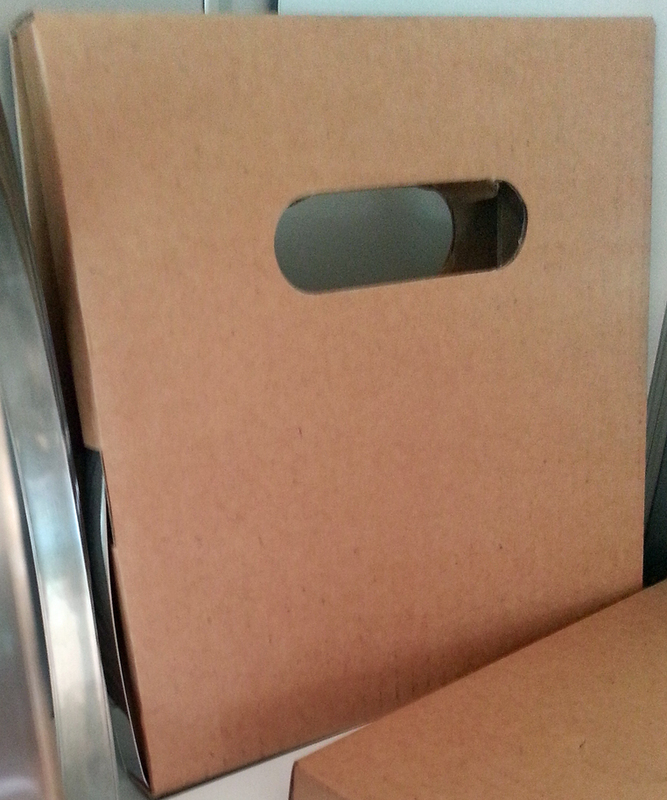 All Bandfix® band products are supplied with a safe edge in an individual handy carry cardboard box. *All lengths are approximate, we can also produce to specific lengths or weights as required. 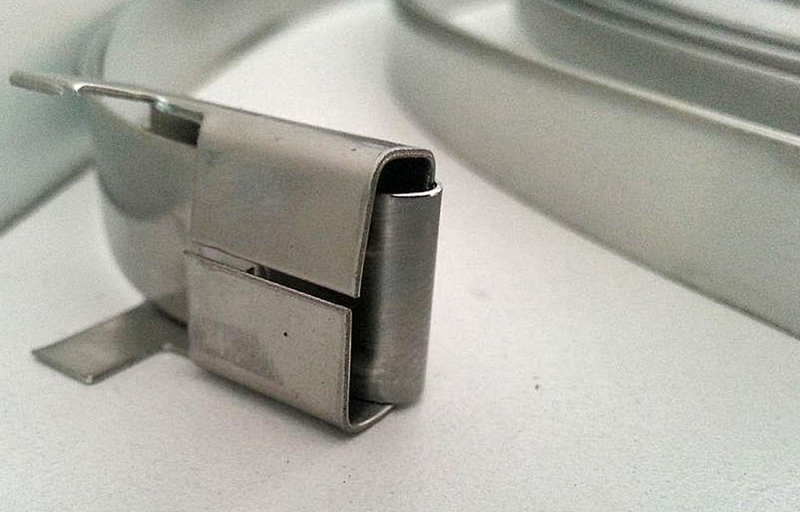 These can be fixed using our Bandfix seals and Tensioning tool or Banding tool, we can also supply as an alternative stainless steel buckles.